Mark Rylance was once renowned for skipping thank yous to agents, friends and everyone he’s ever met in award speeches and instead giving us a blast of Minnesotan prose poet Louis Jenkins. Now the two men have co-created an oddball meditation, first seen in New York earlier this year, in which comedy meets soul-searching on an untethered frozen lake. Jenkins’s poems are beautifully strange soliloquies, but the cumulative effect of them is a somewhat fragmented and rambling drama. Perhaps it's intentional, but interactions between the characters are mainly disconnected and/or smothered in whimsy, along with winking references to deeper truths and the deliberate rejection of narrative; a late swerve into overt postmodernism doesn’t really coalesce. The actors are constantly spelling out subtext in lyrical fashion, or landing non-sequiturs with a meaningful glance. Some have real ruminative power, but it becomes an assembly line of folksy existential wisdom. 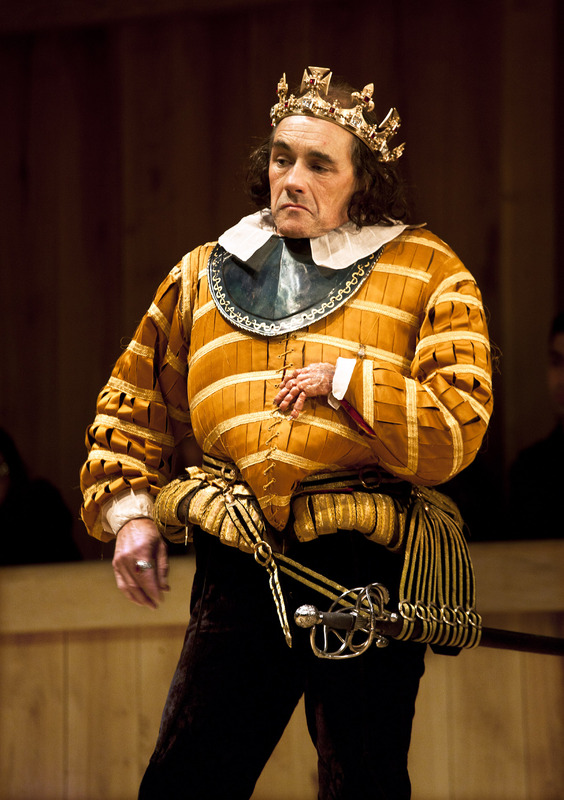 However, Rylance is on particularly disarming form as Ron. More Pixar creature than man, with his giant orange snowsuit, furry hat and red nose, he’s a bumbling, enthusiastic naïf with a passion for listing everything from health foods to familial allergies (he’d kill it on Just a Minute). His natter is background noise to the melancholic Erik, whose litany of failures includes parental disappointment and a doomed romance that led to small acts of rebellion in his job as a postal worker. They’re a wonderfully mismatched pair of tragicomic clowns. But the double act is soon invaded by a petty official from the Department of Natural Resources (Bob Davis is an effective jobsworth) and grizzled spear fisherman Wayne, who summons the spirit of the lake (a sonorous Raye Birk). More problematic is Wayne’s kooky sprite of a granddaughter, Flo – though Kayli Carter is a sweet, sunny presence, the character is rather too Manic Pixie Dream Girl, flitting about in a prom dress, spinning yarns, leading singalongs, and inviting strange men into her sauna. Todd Rosenthal provides a beguiling set, with the vast expanse of ice accentuated by the miniature tree-lined road in the distance, and mood changes are nicely signalled by Japhy Weideman’s lighting shifts. Scott W. Edwards’s immersive soundscape will have you reaching for a scarf (and possibly a sharp stick), with its whistling wind, sputtering ice and howling wolves, while the puppetry is both bizarre and heart-warming. That benevolent quirkiness extends to the audience, with limited free tickets offered to those in fish or fisherman attire – on press night, a clawsome pair won a box with their lobster onesies. An evocative and amusing piece with moments of greatness, but while it gets you on the hook, it doesn’t quite reel you in.